Every year around this time AMD launches a yearly overhaul of its software. AMD’s Annual roll-outs packed with a slew of new features are pretty much a tradition now. A year prior, the company gave us a Radeon Software Crimson ReLive Edition update. 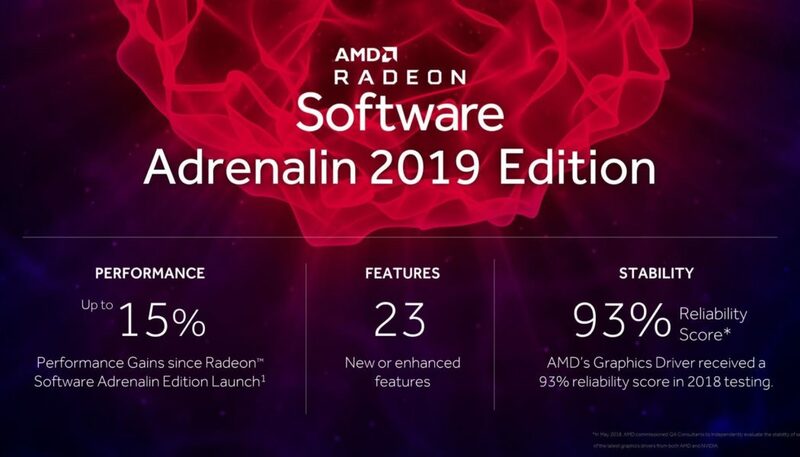 This time around, the refresh is called the Radeon Software Adrenalin 2019 Edition. 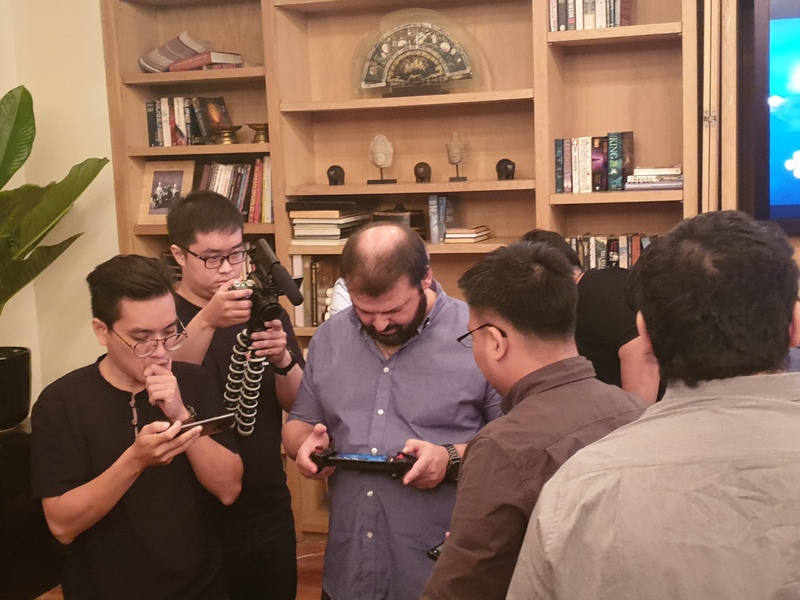 We attended the briefing in the supercool city of Bangkok and the slew of features and huge slide deck you will read is proof enough that software engineers have been hard at work. Up to 4% faster performance in Assassin’s Creed: Odyssey using Radeon™ Software Adrenalin 2019 Edition 18.12.2 on the Radeon™ RX Vega 64 graphics card than with Radeon™ Software Adrenalin Edition 18.12.1 at 1920×1080 (1080p). Up to 3% faster performance in Shadow of the Tomb Raider using Radeon™ Software Adrenalin 2019 Edition 18.12.2 on the Radeon™ RX Vega 64 graphics card than with Radeon™ Software Adrenalin Edition 18.12.1 at 2560×1440 (1440p). Up to 5% faster performance in Wolfenstein II: The New Colossus using Radeon™ Software Adrenalin 2019 Edition 18.12.2 on the Radeon™ RX Vega 64 graphics card than with Radeon™ Software Adrenalin Edition 18.12.1 at 3840×2160 (4K). This new tool in the Settings menu will scan your system and give you a list of recommendations that ensure your gaming experience is as smooth as possible. 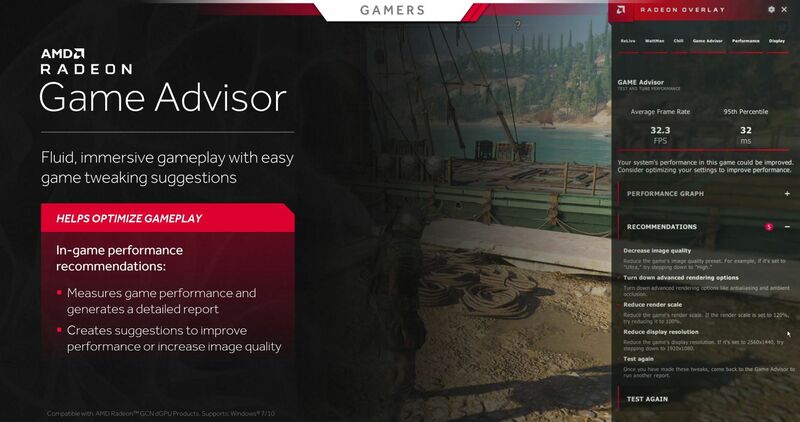 Depending on your system and display configuration, the Settings Advisor will suggest actions like enabling FreeSync or HDR visuals, adjusting your monitor’s resolution or refresh rate, updating to the latest available drivers, or activating AMD-specific features like Enhanced Sync, Radeon Chill, or Virtual Super Resolution. Scans your systems capabilities and provides optimization suggestions in just a few simple clicks. Available through Radeon Settings. 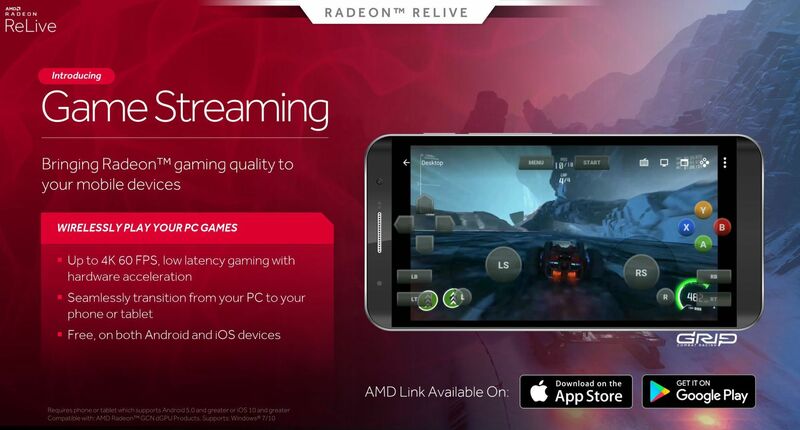 AMD’s ReLive game-streaming and video capture tools have got a lot of attention in Radeon Software Adrenalin 2019 Edition. The tools now let you instantly activate a picture-in-picture replay of your most exciting gaming highlights, save instant GIFs, and even customize your stream overlay without the need for third-party software like OBS, thanks to the inclusion of a basic scene editor. 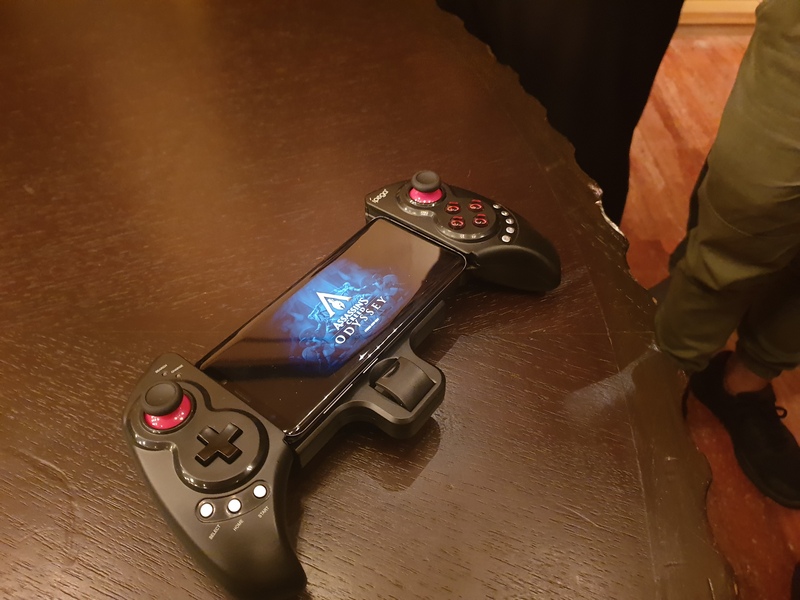 The VR and mobile solutions both support wireless controllers. In-Game Replay feature that allows you to replay your gaming moments instantly on screen. Scene Editor allows creation and editing of scenes for recording or streaming with transitioning options via hotkeys or Radeon Overlay. GIF Support allows creation of GIFs via hotkey or Radeon Overlay. Added platform connection support for Restream.io, Streamable and Gfycat. 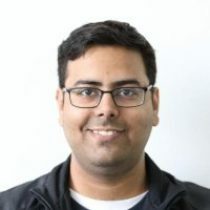 AMD Link now has Better reliability for a stable connection. 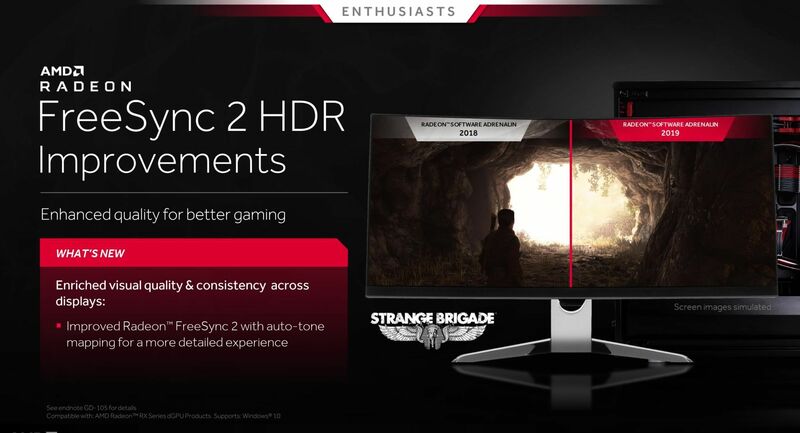 Radeon FreeSync 2 Improved Radeon FreeSync 2 with auto-tone mapping for a more detailed experience in HDR 10 supported games. ▪ Virtual Super Resolution now supports ultra-wide 21:9 displays. 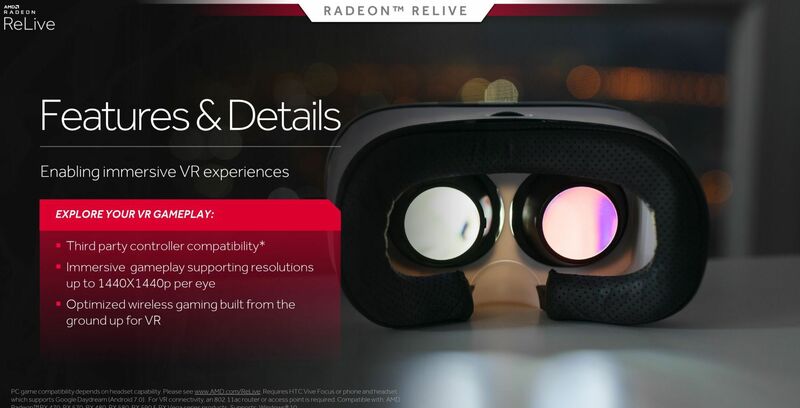 With Radeon Software Adrenalin 2019 Edition, any concerns about AMD drivers should be put to rest. 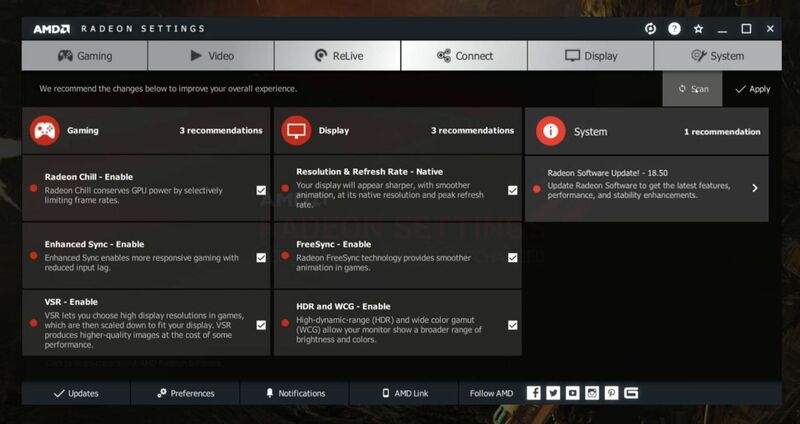 This superb feature update puts Radeon Settings in strong contention with its competition.